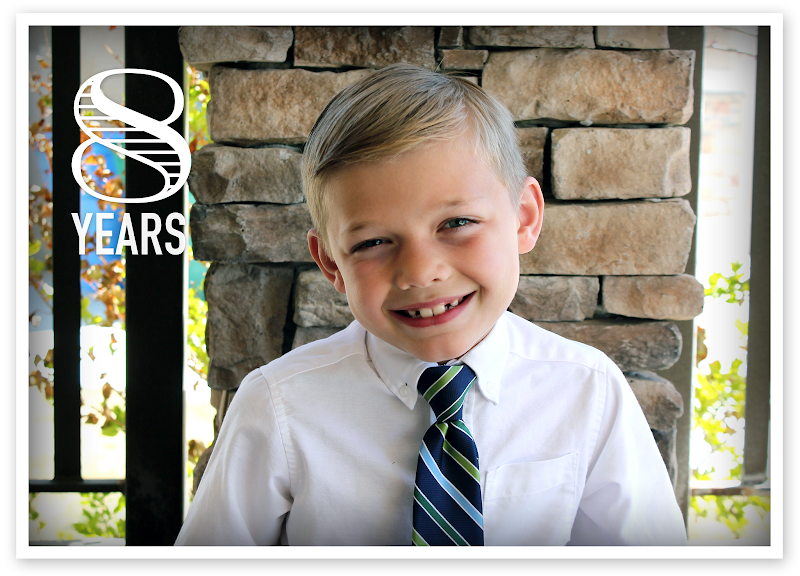 This awesome kid turned eight years old on March 24th! We just can't get enough of him. He has such a mature little spirit and is always keeping us in line. He just started cub scouts and loves it! He had a great well-child doctor visit and weighs 56 pounds (50%centile) and is 48 inches tall (17%centile). He's kind of a shorty, but totally owns it. 1. He loves BBQ sauce! He puts it on just about everything. 2. He doesn't cry when he gets hurt...like ever! He only cries when he feels really sad about something (like when our exchange student left, or his grandparents dog died). 3. He can wear out the right knee of a new pair of jeans in a week. 4. He's kind of a germaphobe and won't share cups or utensils with other people. 5. He thinks Mike is really a kid that was teleported into an adult body (Bryson's very words). 6. He hasn't had a single cavity yet. 7. He can almost land a double front flip on the trampoline. 8. He loves to climb trees. I tried to get him to pose for a cute photo and these are the poses I got...haha. 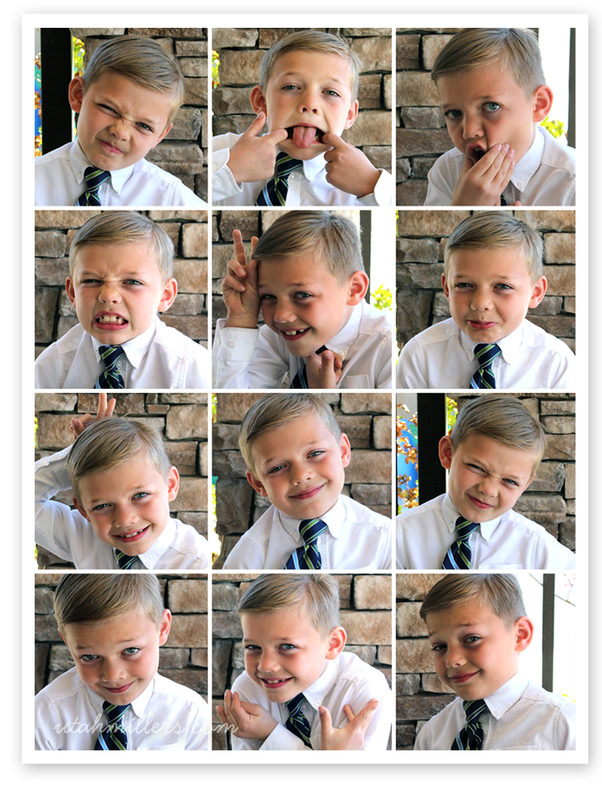 Yes, he is definitely a typical 8-year-old. We only do birthday parties around here on what we call the "big" birthday's (1, 5, 8, 12, 16, 18). The other birthday's we keep pretty low key. Bryson was SOOO excited it was a big birthday year so he could have his much anticipated party. He chose to have it at our house so he could invite more kids. He's so sweet and didn't want to leave any of his friends out. He had a Lego themed birthday party and got tons of Lego's, which he was thrilled with. Of course we had to do the spanking machine, a Hinckley family tradition. 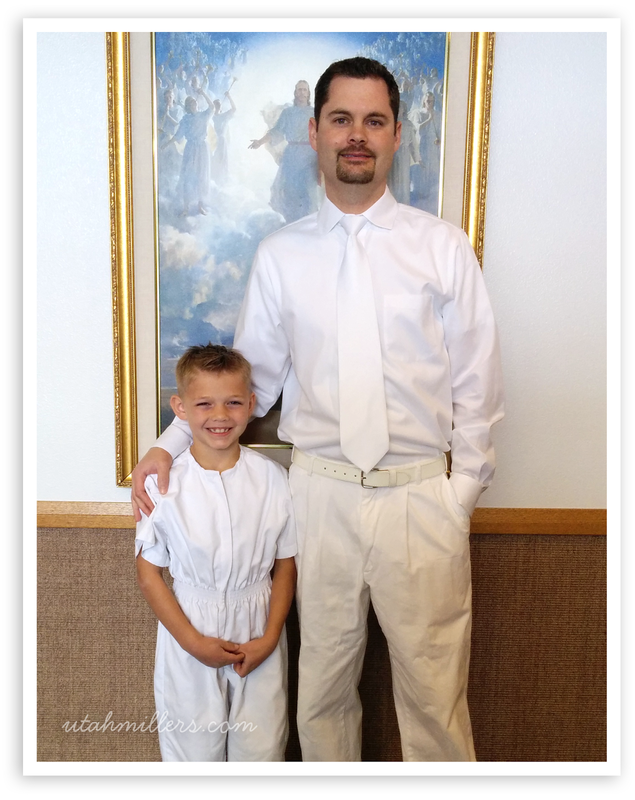 We are so proud of Bryson for making the choice to be baptized. 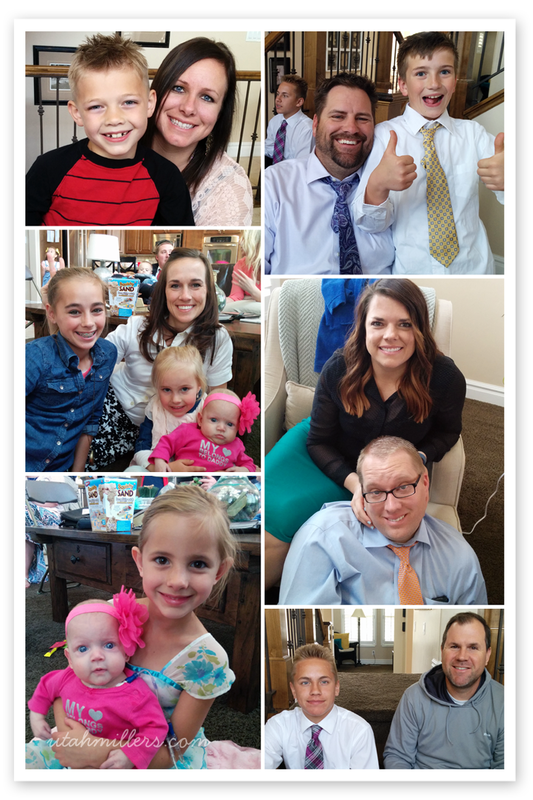 In our parenting we strive to follow the admonition of the prophet Joseph Smith when he said: "I teach them correct principles, and they govern themselves." 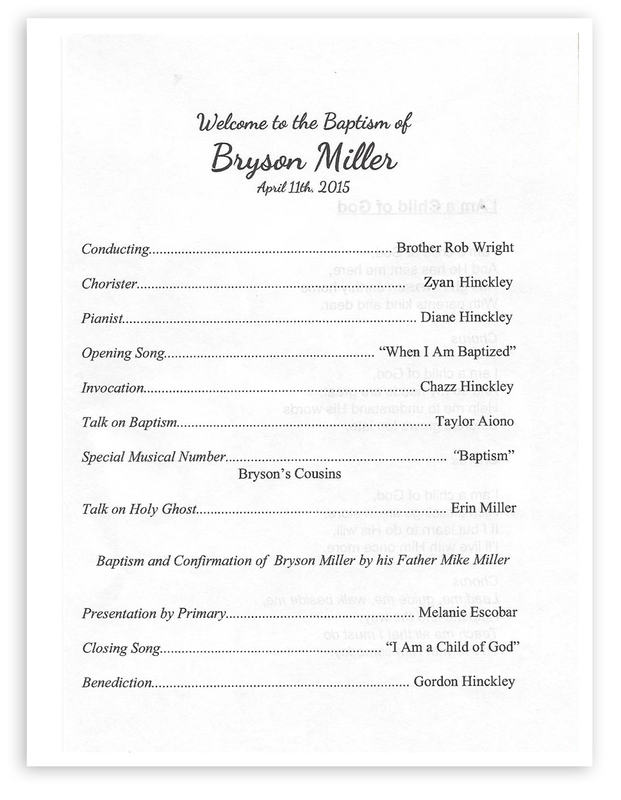 We truly wanted baptism to be Bryson's choice, not ours. We've taught and prepared him but then left the choice to be baptized entirely up to him. He's been praying about it for quite some time and it touched my heart when he finally told me he felt it was something he needed to do. Here's a copy of the baptism program (for records sake). 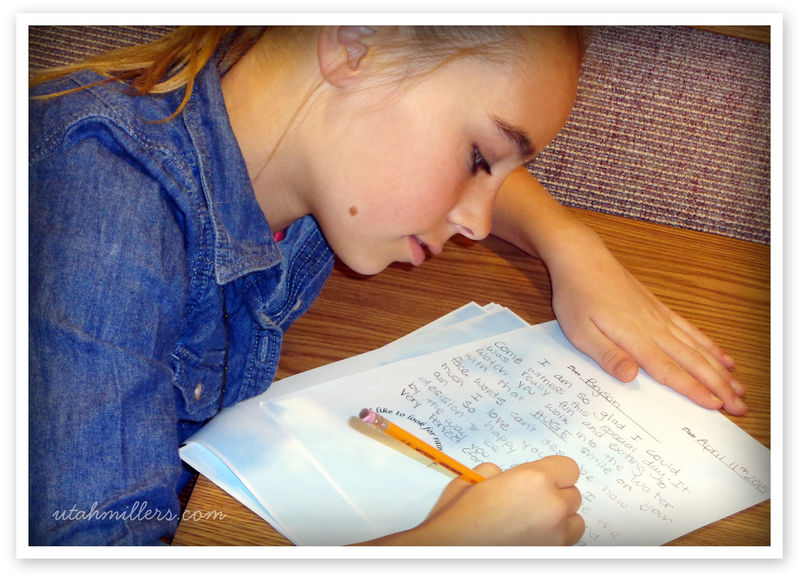 While we waited for Bryson to change his clothes after he was baptized, the Primary had everyone in the room write a letter to Bryson. That evening before going to bed, we sat with Bryson and read all of the letters with him. Man, talk about opening the flood gates. The letters were all so touching, but the letter that touched me the most was from his birth mom Kim. 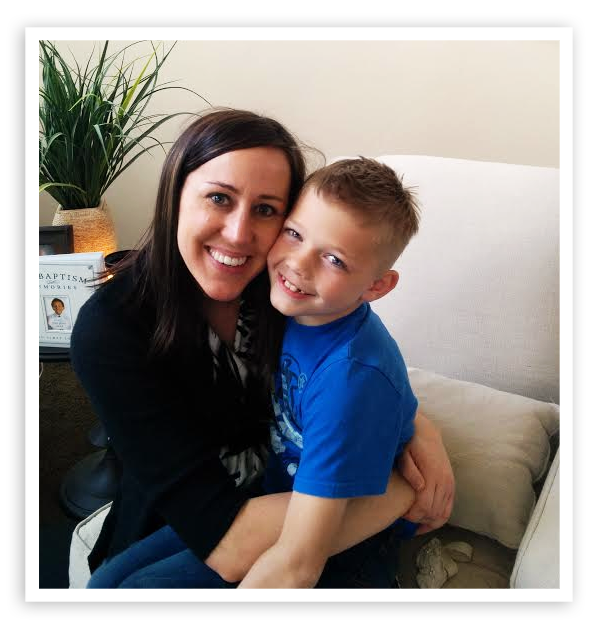 She talked about how the Holy Ghost helped her make the decision to place him for adoption and helped her know who she should pick to be his parents. We just love her so much for following her heart! 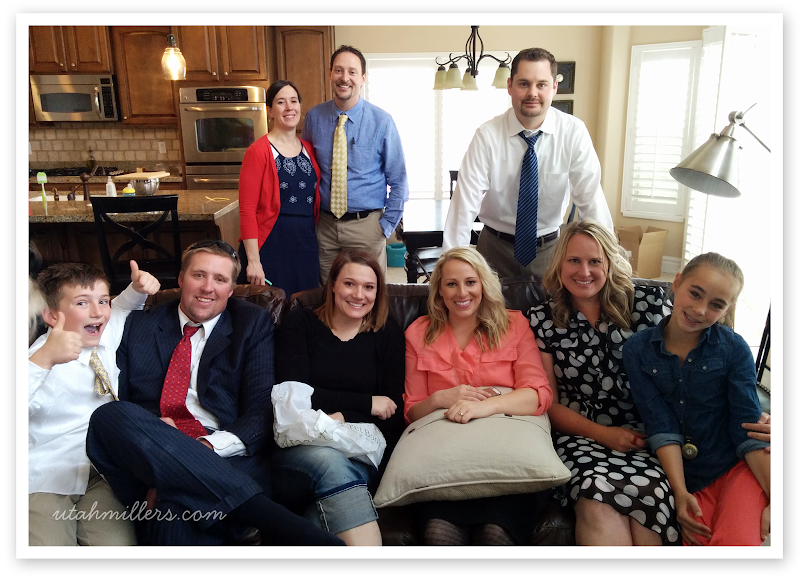 Here are a couple of shots of some of the people who came out to support him on his baptism day. I'm telling you, Bryson is one lucky boy to have so many people to look up to. Each person in these pictures is an incredible example to him. And here's our yearly video of Bryson talking about his life. We'll see how many more years he let's me do these...haha. We love you to pieces Bryson!